Also available in our Silver finish. This lovely brass hostess bell stands about 4" tall. A wonderful addition to any dining room table. It is also good for weddings and special occasions. 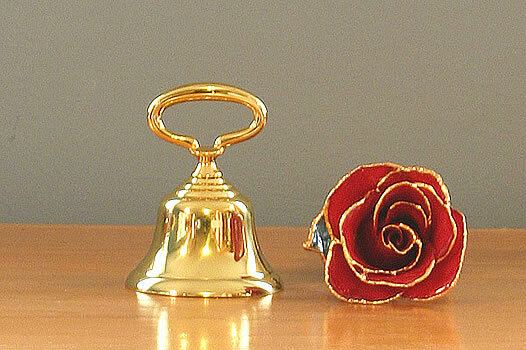 This bell is also available in silver plating. The brass is lacquered to keep it shining. Weight: 6 ounces. 4" high; 2 3/4 " diameter.